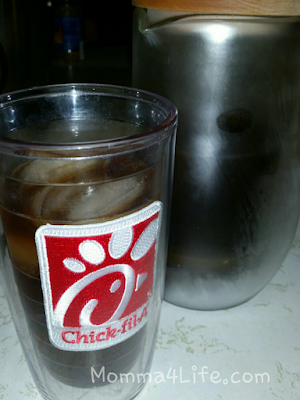 I am a huge coffee fan and I do have a keurig but I wanted to try a french press for a different kind of tasting coffee and I was looking at this french press and got excited to try a few cups of cold ice coffee. There are a few ways you can make it but I choose to do it the overnight way so you prep the french press not that hard all you do is add your coffee grounds to the bottom of the press measure accordingly generally its one scoop to one cup and make sure not to fill it to the top or the press will run over. 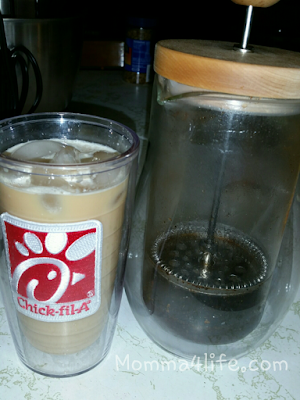 I love both kinds of coffee so it's perfect. 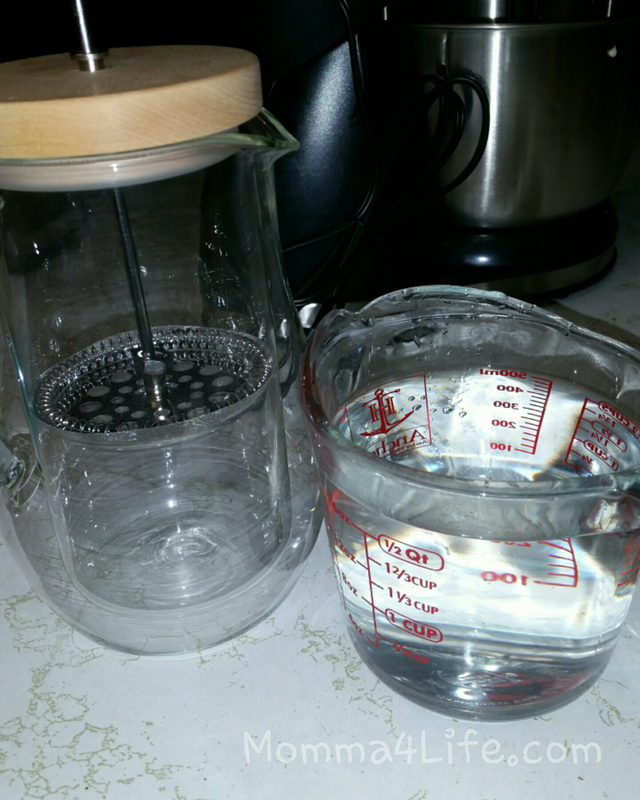 This is the french press before making the coffee I was really excited to use it this would be the first time I have used something like this. 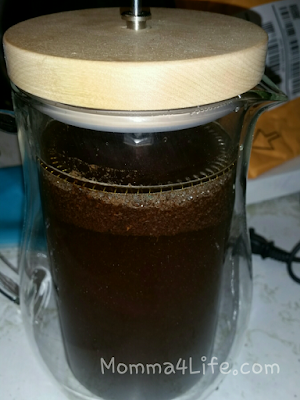 The mesh is really nice I do suggest however you use a little bit of a thicker coffee ground I didn't have beans this first time so i used regular coffee. 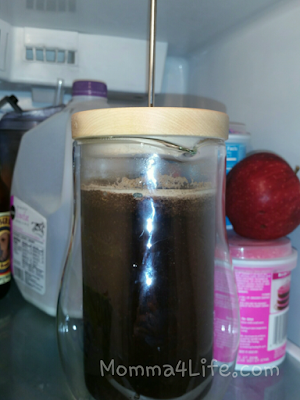 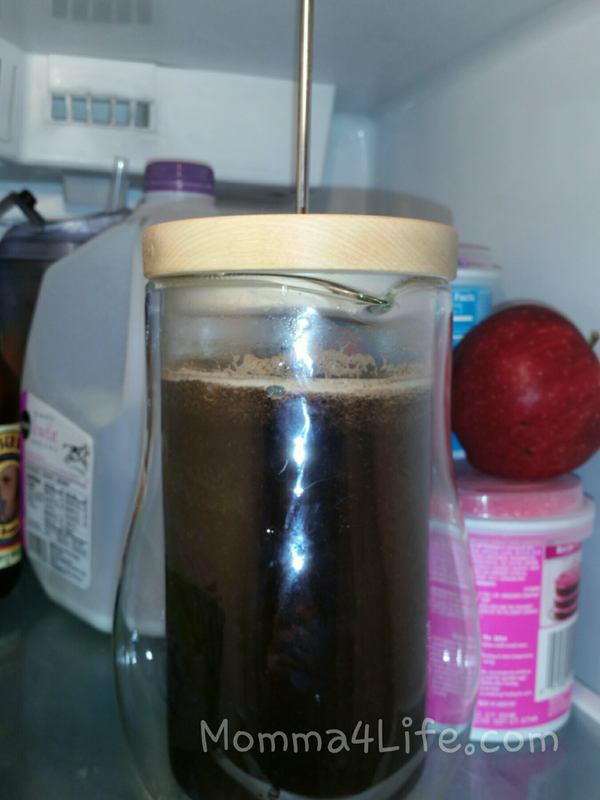 Let it sit over night for about 12 hours and there you go freshly brewed french press cold coffee. I was really excited for this because i love iced coffee all the time.